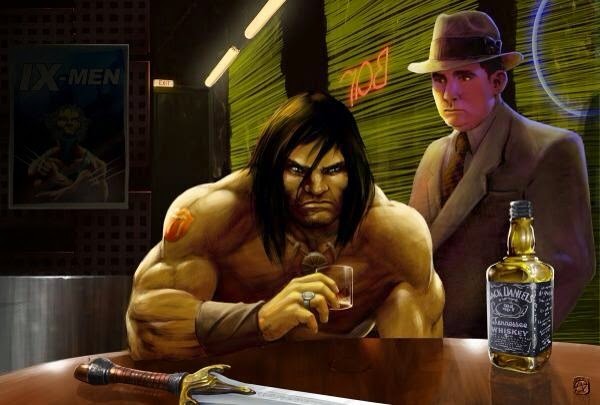 Robert E. Howard Days: Happy Birthday Robert E. Howard! Happy Birthday Robert E. Howard! January 22nd is the 112th anniversary of the birth of Ol' Two-Gun Bob Howard! A tradition we started years ago is on his birthday, read some Howard and enjoy your favorite libation. As we know, there is a lot of Howard to be read and there are a lot of libations to enjoy! Enjoy your day...Happy Birthday, Bob. Howard Days 2018 is June 8th and 9th!